Join “Mrs. Mac” on her spiritual soapbox in a round robin conversation. An educator, author, speaker, and mother of six (on earth), Marie will guide discussion on real-life implementation of your faith in a discussion format. Topics include following your heart, handling depression, and sharing God’s love with those around you. Come one, come all, and bring your questions! The provocative statements below served as the outline for the presentation. Each member of the audience picked up a slip of paper with one of the statements, and read it aloud to the group, attempting a Scriptural response. Marie moderated the discussion, adding her own thoughts and perspective as a summary, which are listed below. If you are interested in having Marie present to your group, contact her here. 1. That stuff in the Old Testament misogynist and anti-woman! Certainly, horrible and tragic things happen to many women in the Old Testament. But, reading the context, it is clear that these accounts are historical, not condoned by God. Even so, some ceremonial or civil laws of the Old Testament, viewed through modern lenses, may seem oppressive to some women. However, Christians of today are bound only by God’s moral laws (The Ten Commandments), which apply equally to men and women. In this round robin conversation, join “Mrs. Mac” on her birth, baby, and bridal soapbox. An educator, author, speaker, and mother of six (on earth), Marie will guide a discussion on how to “have it all” (myth! ), with topics including pregnancy, breastfeeding, parenting, marriage, and grace (fact!) … always grace! Informative for both guys and gals, bring your questions! The (sometimes controversial) statements below served as the outline for the presentation. Each member of the audience picked up a slip of paper with one of the statements, and read it aloud to the group, grappling to answer whether the statement is a myth or a reality. Marie moderated the discussion, adding her own thoughts and perspective as a summary, which are listed below. These summaries do not always directly state a true or false answer, but give additional points to hopefully broaden the audience's horizons. Deny Healthcare to the Unvaccinated? Some are suggesting a “compromise” between those who vaccinate and those who don’t: Deny healthcare to the unvaccinated. This suggestion varies regarding the players (doctors, ER workers, nurses, clinics, hospitals, individual employees) and the details (deny all healthcare in any form, deny only treatment for vaccine-preventable diseases, or some combination), but in essence, it would force the unvaccinated to “suffer the consequences” for their choices. Besides the glowing discrimination in this suggestion, there are four main reasons to oppose it: 1) It is unethical. 2) It is impossible to implement consistently. 3) It is based on fear and hate; not truth or tolerance. 4) It is won’t actually solve any problem. Current Minnesota law generally requires K-12 students to receive a standard vaccination schedule, but allows an exemption when parents object on conscientious grounds. A recently introduced bill would revoke the parental choice exemption from current law. SF 1520, as introduced on February 21, 2019, would amend current law by striking MN Rev. St. 121A.15, Subd. 3(d)—the section quoted above that currently protects a parent’s right to conscientiously object. In view of the other sections of current law quoted above, this revocation of parental rights obviously intends to apply to children ages 7 through 17, regardless of whether they are enrolled in public, private, or home schools. There are at least 16 good reasons why a parent might conscientiously object to mandatory vaccination—including reasons supported by peer-reviewed medical research as well as reasons recognized by federal court rulings that have awarded monetary damages to families who suffered vaccine-induced injuries. Track the progress of SF 1520 in the Minnesota legislature. On February 21, 2019, the bill was referred to the Health and Human Services Finance and Policy Committee. Contact members of the committee(s) identified under “Stay Informed” (above) by clinking the link(s) above. Contact legislators from your own district, using this handy directory. Borrow some talking points from the 16 good reasons why parental choice makes sense for vaccine policy, or follow the research links in that article in order to discover additional talking points. 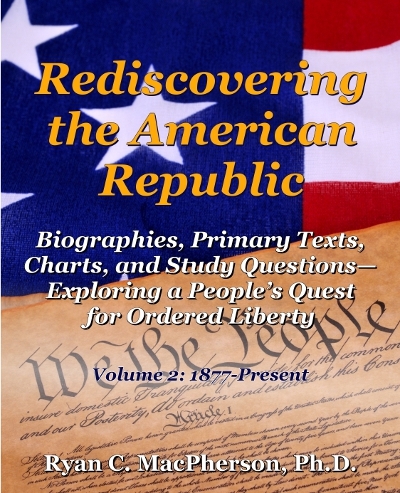 Dr. Ryan C. MacPherson is the founding president of Into Your Hands LLC and the author of several books, including Rediscovering the American Republic (2 vols.) and Debating Evolution before Darwinism. He lives with his wife Marie and their homeschooled children in Mankato, Minnesota, where he teaches American history, history of science, and bioethics at Bethany Lutheran College. He also serves as President of the Hausvater Project, which mentors Christian parents. For more information, visit www.ryancmacpherson.com. 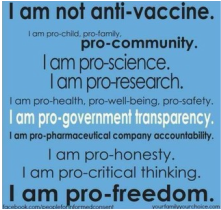 I am not anti-vaccine; rather, I am pro-freedom. I oppose vaccination mandates, while remaining open to individuals’ choices of whether to vaccinate themselves and their children. I support the ideas of training one’s immune system and of building one’s immunity. The science and history of inoculation and immunization theory is fascinating, but beyond the scope of this post. Here, I will simply cover my reasons against government coerced, mandatory vaccination. Please keep in mind, I am not a medical professional and what I write should not be considered medical advice. Do your own research, make your own choices, and consult your medical experts, as needed. A. Mandatory Vaccination Is a Human Rights Violation. B. Mandatory Vaccination Is an Affront to the Constitutional Rights of Religion and Conscience. C. Mandatory Vaccination Disregards Biomedical Individuality. D. Mandatory Vaccination Victimizes the Poor. E. Mandatory Vaccination Opposes the Right to Privacy and Equal Access to Education. F. Mandatory Vaccination Uses Coercion Rather Than Education. G. Mandatory Vaccination Restricts Parental Responsibility. H. Mandatory Vaccination Refuses to Learn from Thousands of Years of History. II. Ethics: Mandatory Vaccination Is Established on Unethical Foundations. A. Pharmaceutical Companies Are Exempt from Liability for Damage from Their Products. B. America’s Vaccination Paradigm Is Rife with Conflicts of Interest. C. Doctors and Vaccine Companies Do Not Provide True Informed Consent. III. Safety: The Safety of Vaccines Is Questionable. A. Vaccines Contain Controversial Ingredients. B. Vaccine Testing Procedures Are Questionable. C. The Federal Claims Court Admits Thousands of Vaccine Injuries. D. Other Countries Are Rejecting Mandatory Vaccination. E. Mandatory Vaccinations Are Not Necessary for “Herd” Immunity. Mrs. Marie K. MacPherson, vice president of Into Your Hands LLC, lives in Mankato, Minnesota, with her husband Ryan and their children, whom she homeschools. She is a certified Classical Lutheran Educator (Consortium for Classical Lutheran Educators), author of Meditations on the Vocation of Motherhood (2018), and editor of Mothering Many: Sanity-Saving Strategies from Moms of Four or More (2016). Join Ryan and Marie MacPherson in their latest adventure—the production of a book by homeschoolers, for homeschoolers! Click here to learn how you can participate in the Into Your Hands LLC homeschool family survey. © 2014–2018, Into Your Hands LLC. The material provided on this website is offered for general informational purposes only; it is does not constitute financial, legal, or medical advice, nor is it intended as a substitute for competent professional advice unique to your situation.